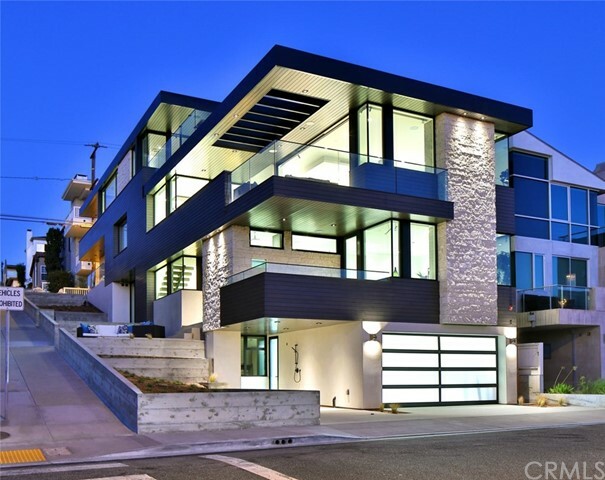 One of the finest 'speculative' homes for sale you will ever find in Manhattan Beach. Quality construction and materials, attention to detail and sweeping ocean views all blend together with this brand new corner walk-street townhouse. Designed by Michael Lee and built by quality builder Tyler Krikorian, this 4 bed, 3.5 bath, 2300 sq. ft.(BTV) sleek modern masterpiece will surely catch your eye. Amenities include but not limited to Fleetwood doors and windows throughout, capability for automatic shades with recessed pocket in top floor and Master Bedroom, Crestron system to control from your Iphone, wide plank 9.5" European oak floors throughout, Limestone clad detail accent wall, steel 'floating' staircase with beautiful staircase chandelier, three stop elevator, ocean view from all three levels, including the master bathroom shower! As you walk up the staircase you will be greeted with protected white water ocean views down the walk-street. Thermador appliances including 48" fridge with modern panelling detail and stove, beverage fridge included. Master bedroom includes beautiful stone fireplace with large ocean view balcony and spacious master bath with stand alone tub. Disappearing Fleetwood doors give the full 'indoor/outdoor' experience with views to Malibu. Plumbed for AC. Multiple outdoor spaces to entertain. Potentially six car onsite parking for guests and three short blocks to the beach and a few blocks to downtown MB or North Manhattan. Don't miss out! © 2019. The multiple listing data appearing on this website, or contained in reports produced therefrom, is owned and copyrighted by Multi-Regional Multiple Listing Service, Inc. ("MRMLS") and is protected by all applicable copyright laws. Information provided is for viewer's personal, non-commercial use and may not be used for any purpose other than to identify prospective properties the viewer may be interested in purchasing. All listing data, including but not limited to square footage and lot size is believed to be accurate, but the listing Agent, listing Broker and MRMLS and its affiliates do not warrant or guarantee such accuracy. The viewer should independently verify the listed data prior to making any decisions based on such information by personal inspection and/or contacting a real estate professional. 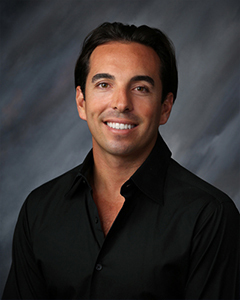 Listing courtesy of Giovanni Altamura from S C Real Estate . Last updated Saturday, April 20th, 2019.